Looking for a legit smartphone with Digital TV feature? 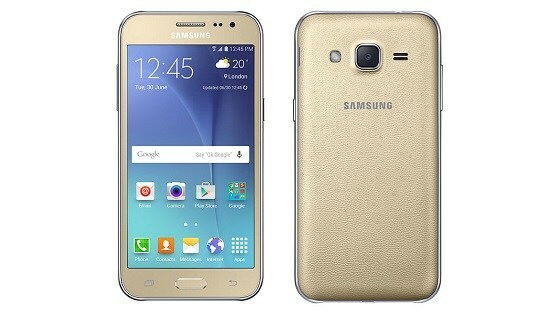 Here's the Samsung Galaxy J2 DTV. Samsung Galaxy J2 DTV is now official in the Philippines for Php 6,990. This release is in line with the rising popularity of smartphones with Digital TV feature in the country. Clearly, Samsung is trying to get a share of this entry level market segment which is currently occupied by most of the local brands. Specs-wise, the Samsung Galaxy J2 DTV comes with a decent processing power – a quad-core CPU clocked at 1.3-gigahertz speed. It also comes with a respectable 4.7-inch qHD display which is a “safe zone” screen real estate for a multimedia device. There’s also 1GB of RAM that will work with the processor for your multitasking appetite. The handset is packed with a 5MP rear camera and a 2MP sensor for selfie shots. Both are enough for your social media pictures. This 130-gram device measures 136.5 x 69 x 8.4mm and powered by Android Lollipop and its 2000 mAh Li-Ion battery. Why buy Samsung Galaxy J2 DTV? It’s a given thought that the Samsung Galaxy J2 DTV only comes with a modest feature set. I think the primary reason that you’ll buy this smartphone is its DTV tuner feature which could definitely broadcast your favorite shows while you’re stuck in traffic. Knowing that you have a portable TV in your pocket is very convenient.